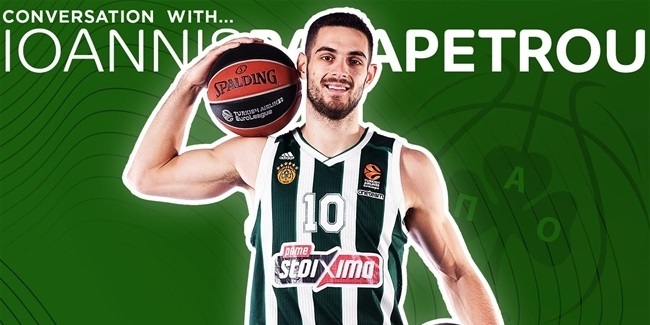 Over the last few years, the Panathinaikos OPAP Athens point guard has consistently come close to becoming the first player since 2006 to register a triple-double in the Turkish Airlines EuroLeague. Calathes's first near miss came in the final game of the Top 16 in the 2015-16 season, his first back in Europe: in a 91-86 loss at Anadolu Efes, he registered 14 points, 10 assists and 8 rebounds. The next season was the first of the remodeled EuroLeague and Calathes started that campaign with another couple of close calls. In Round 2 he had 10 points, 9 rebounds and 8 assists against CSKA Moscow and the following week there were 13 points, 11 rebounds and 9 assists at Brose Bamberg. Still, the quest for that elusive triple-double continued, and it was nearly achieved against his former coach, Zeljko Obradovic, with 16 points, 11 assists and 8 rebounds in a Round 12 home victory over Fenerbahce in December 2016. Last season saw several more serious assaults upon the magical figures, most notably with a remarkable performance of 29 points, 10 assists and 9 rebounds against Efes. But Calathes continued to keep on falling short, and it was the same story this season as he recorded 20 points, 13 assists and 8 rebounds against Efes (again! ), followed by 27 points, 14 assists and 8 rebounds at Milan a couple of weeks ago. Now, though, Calathes has finally done what no other player has been able to do since Nikola Vujcic, combining 11 points, 12 rebounds and 18 assists to guide his team past Buducnost VOLI Podgorica on Thursday night. And he chose a pretty important night to do so, leading Panathinaikos not only to victory but also into the playoffs with a sensational run of seven victories in eight games. Calathes has been awesome during that stretch, averaging 14.3 points, 6.3 rebounds and 11.1 assists, so it was no surprise to hear his coach Rick Pitino – who earlier this season hailed Calathes as the best passer he has ever seen – gush: "If he’s not MVP of the league, I don't know who is, because he’s brilliant!" 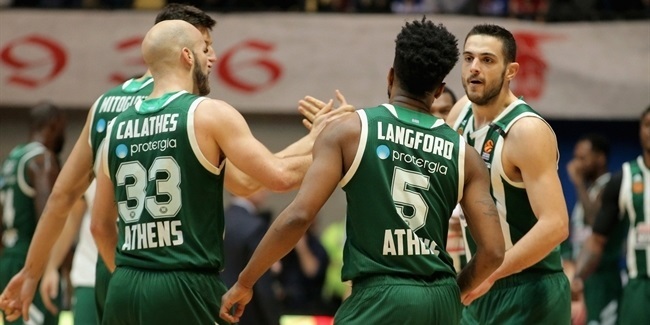 We’ll have to see whether that award comes Calathes's way, but more importantly, we will get to see a lot more of the Greens' icon in the next few weeks after his heroics set up a mouthwatering playoff series against Real Madrid. And it's a mark of Calathes’s humility that he was keen to downplay his individual achievements and focus on team ambitions after his stunning performance against Buducnost. "I got close a lot in the last couple of years," he said. "It feels good to get it, but better to be in the playoffs after what we’ve been through as a team. Winning seven of the last eight games is the most important thing."